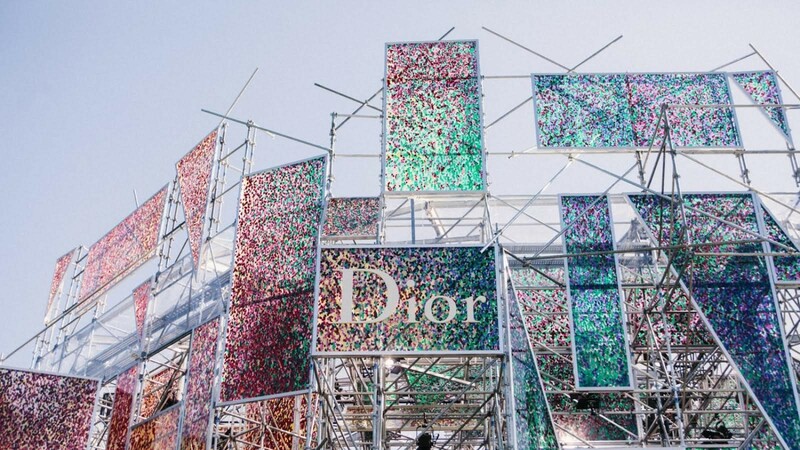 Was this Raf Simons’ most significant Dior show yet? “The Garden of Earthly Delights”, a triptych painted by Hieronymus Bosch between 1590 and 1610, was the starting point for Raf Simons’ present Christian Dior Haute Couture collection for AW15. In the painting, the left panel depicts Eve, presented to Adam by God in the landscape of paradise. The central panel, full of all sorts of fleshly pursuits, is one of mainly naked people, weird animals and giant fruit – and that fruit is significant for the Dior show – this panel is what is considered to be the actual garden of earthly delights and is most meaningful for the collection. Next, of course, is a strange hell-scape of the damned, with huge lutes, terrifying hybrid creatures, and what can only be described as gigantic knife ears – and that’s what you get for eating giant fruit it seems. This is a far cry from Raf Simons’ first collection for the house of Christian Dior, which was literally presented surrounded by walls and walls of flowers; the traditional rooms of a salon transformed by floor to ceiling flora. Instead, the presentation of this collection took place in a far more abstract space; a place of ‘pointillist’ panels, stained glass-like with the light pouring through – the idea of flowers only vaguely hinted at in their abstract composition; where artificial purple turf was walked upon and flocked blue velvet benches were sat upon; where large, ‘forbidden fruit’ lay scattered on the catwalk and was echoed in the heavy, almost medieval, chains worn by the models. The famous Dior ‘Femme Fleur’ – both a motif and mantra of the house – has become a very different creature for Simons this season. Travelling from innocence to experience in the collection, and essentially impacted by the designer’s own Flemish roots, she mirrors somewhat Simons’ own journey as a designer at Dior. “The whole point of the film is that it’s the beginning. Of course now, it would be so different; it would look so much more confident. Although I look at Pieter [Mulier, Raf Simons’ right hand man] in the film and I do see confidence. If I look at me, I can see I have not landed on my feet at that moment. But if we did it now, it might be a really boring film.” In 2012, the towering figure of Mr Dior seemed to haunt Raf Simons. But as the film points out, this public incarnation of the brand Christian Dior, also haunted Christian Dior the man. And it is this human struggle to come to terms with the idea of being a high profile public figure at a fashion house known the world over, that propels the film forward. Yet what Simons’ has achieved at Dior has gone beyond ideas of ‘reincarnation’ – and this is testament to both the designer’s talent and his strength of character. While being both respectful of the history and codes of the house, and yet anxious to ground Dior in the reality of today, he has managed simultaneously to grow the business – overall by 30 per cent at last count – and mould Dior collections in more of his own, contemporary image. And strangely for the realist Simons, this is particularly seen in the almost anachronistic vehicle of the haute couture. It is through the couture, more than any other collection, that he has shed his innocence and proclaimed, like the girl in Rebecca, "I am Mrs de Winter now!" And with its great debt to the Flemish masters, it is perhaps the latest collection that proclaims that fact loudest of all. I am Mrs de Winter Now! From van Eyck to van Dyck, the great Flemish portraiture of the past is summoned up in the current haute couture collection, images that Raf Simons grew up with. At the same time, French masters are there too – particularly the Pointillist Seurat and, of course, Christian Dior. It is they that provide the inspiration for abstraction, detail, something more feminine and some of the iconic silhouettes – but it is the Flemish who hold sway, with the drama, the attitude and the perversity. 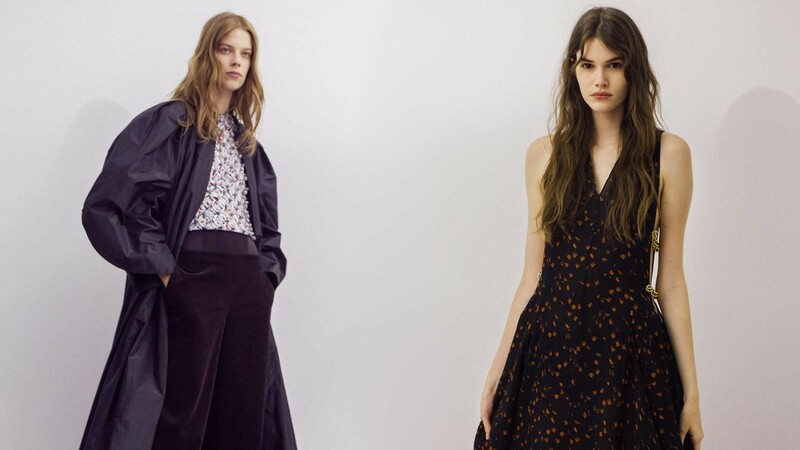 “The collection is a tribute to the Flemish masters of art,” explains Raf Simons. “But it is also about the Flemish master of fashion: Martin Margiela.” Without Martin Margiela Raf Simons would not have become a fashion designer. 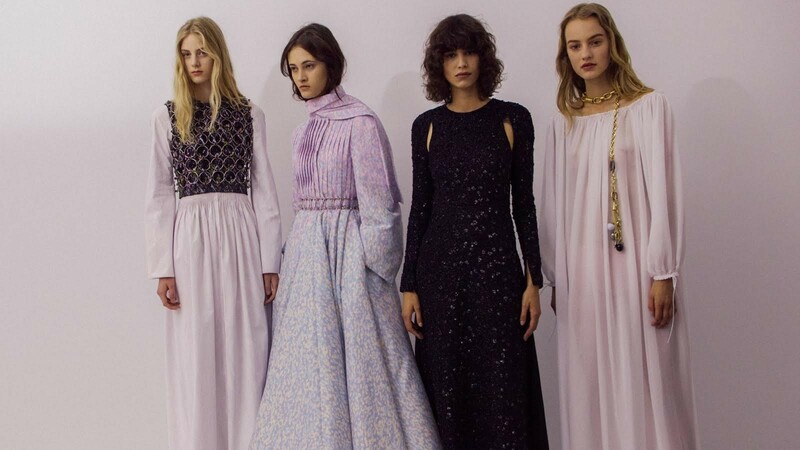 This is the ultimate Flemish inheritance of Raf Simons, and what makes the latest couture collection a significant one. It shows why he became a fashion designer in the first place, the new attitude he has brought to the couture inherited from the realists of the 90s and why that attitude matters in the 21st century in keeping the couture a living, breathing craft – the supreme craft in fashion. Perhaps most strangely of all, while the spirit of Martin Margiela metamorphoses at his own Maison, his real inheritance may now be at the house of Christian Dior. This feature is part of a fashion week series brought to you courtesy of Dazed Digital and AnOthermag.com.